Just after WC in Mokpo we have moved to next competition in China, Hajyang. 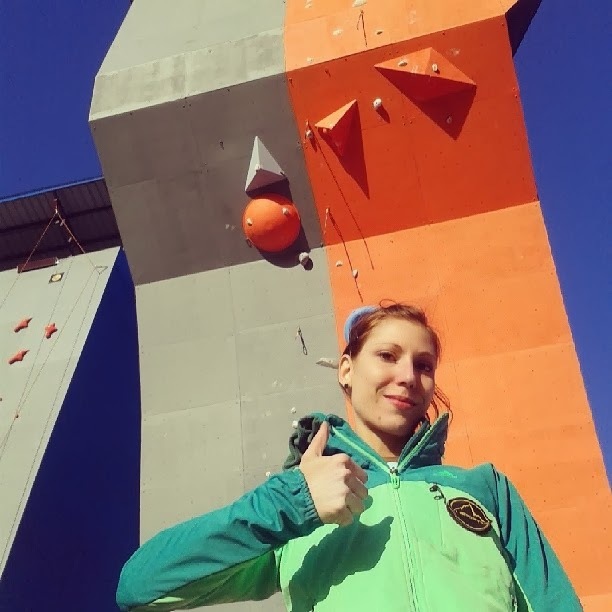 Here was holder an IFSC speed WC event, but they have also decided to organize an additional master lead competition and classic speed event. This place were also holder of Asia's beach games last year, so it is no wonder, that everything is well organized and with warm Chinese hospitality, as usually. Congratulations, sure, also to her! 3rd place went to young Japanese Ota Risa. By guys Hyunbin Min, Stefanio Gizolfi and Sean McColl took places on podium. This time, again I was in quite similar situation as just few days ago in Mokpo. I knew the route, I new (thought) am able to do it and I also expected Dinara did the top. So, I had to forget all the facts again, erase everything else form my head, focused just on route and climb (FAST!) Sure, if possible :-)... And, I did it! See you soon in next few days on next WC in Wuyang!! !